Keshiki bonsai no. 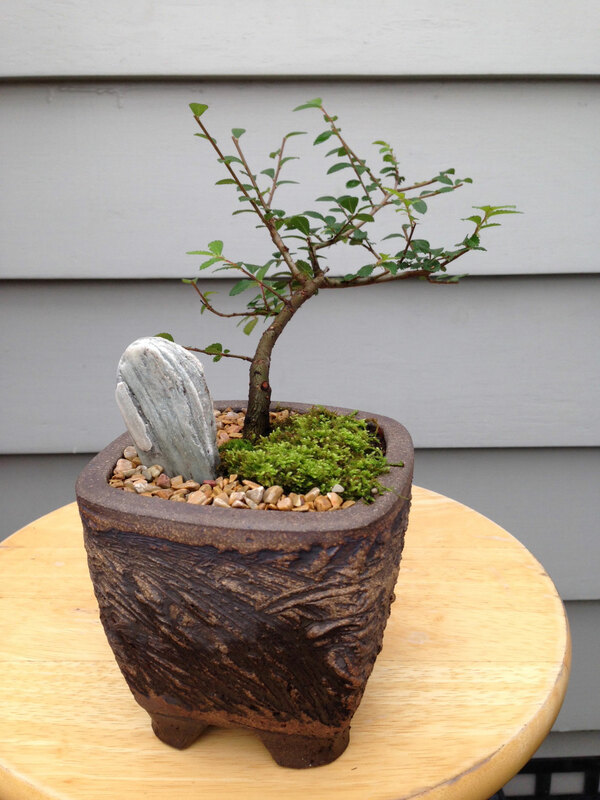 72 is a Chinese elm with moss and loose stones. 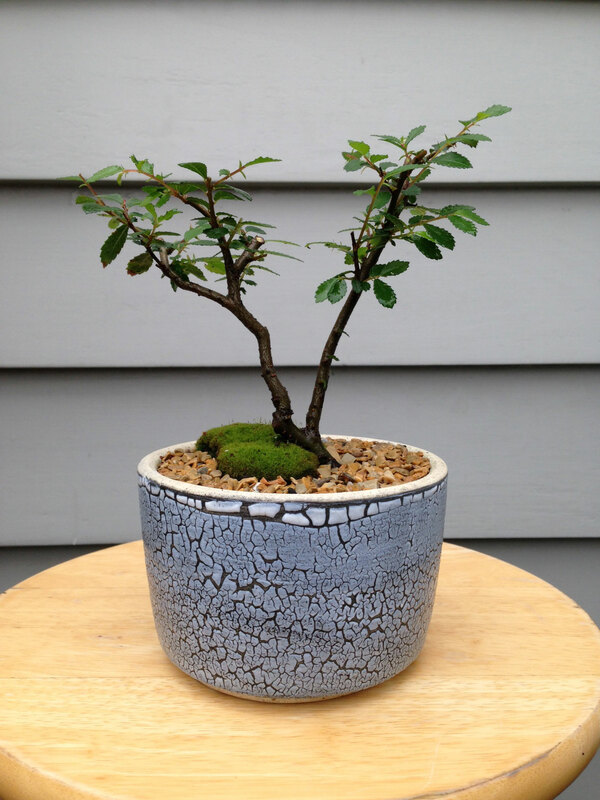 Keshiki bonsai no. 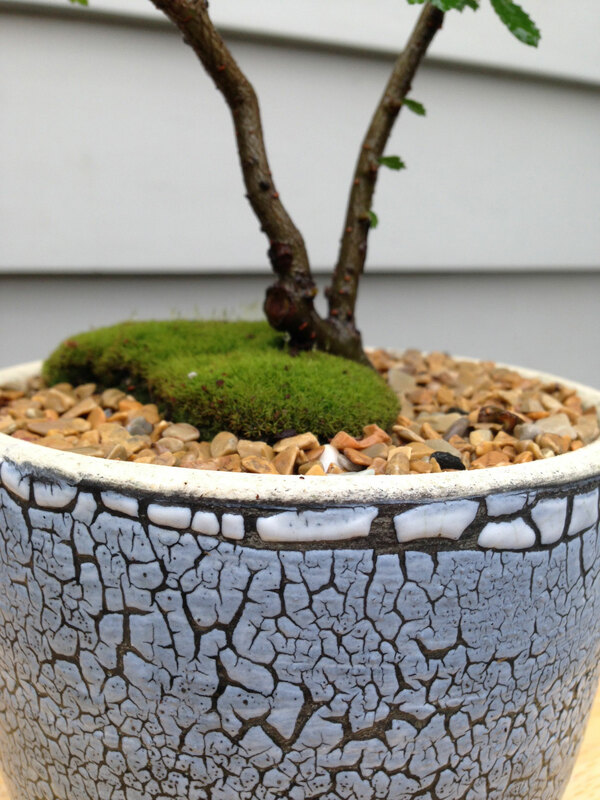 71 is a Chinese Elm with moss and loose stones. Keshiki bonsai no. 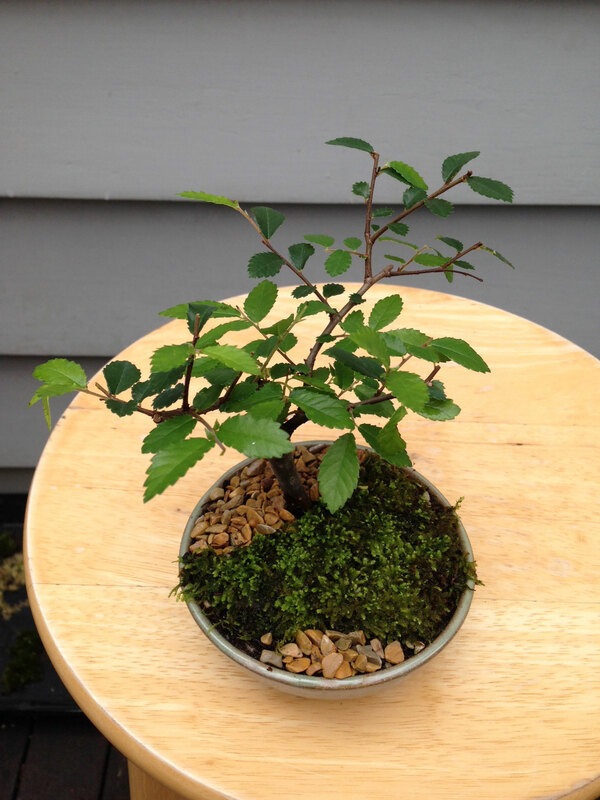 69 is a Chinese elm with moss and loose stones. 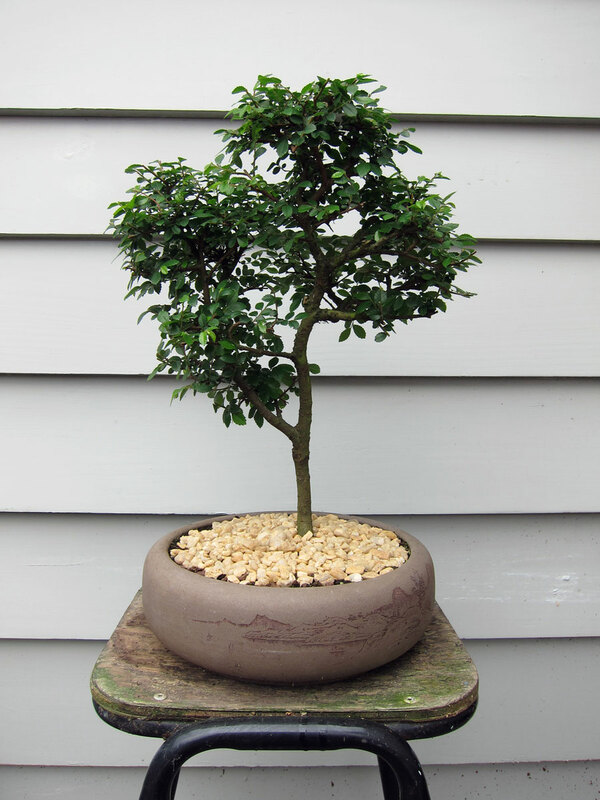 Keshiki bonsai no. 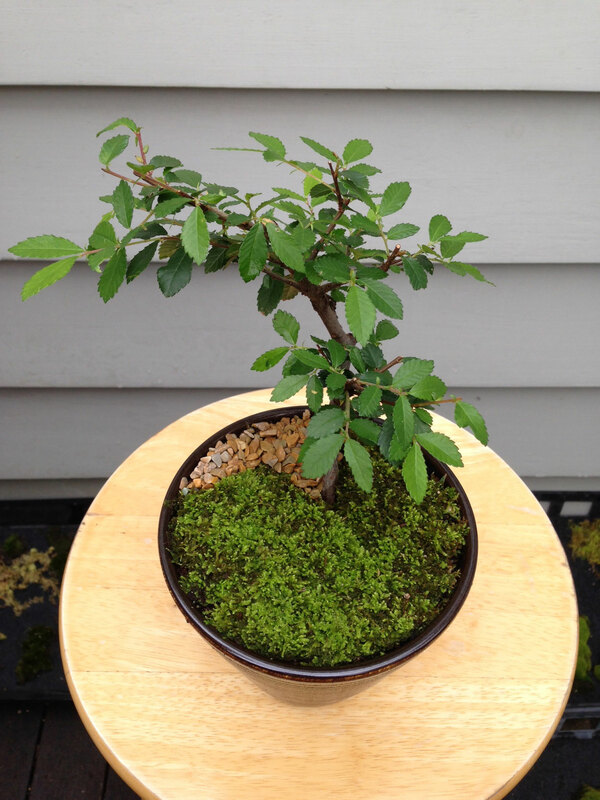 68 is a Chinese elm with moss and loose stones. 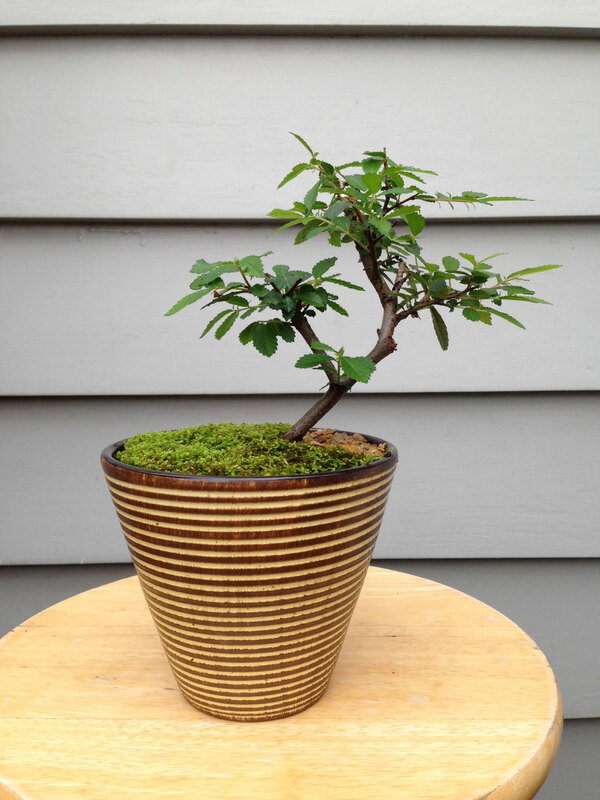 Keshiki bonsai no. 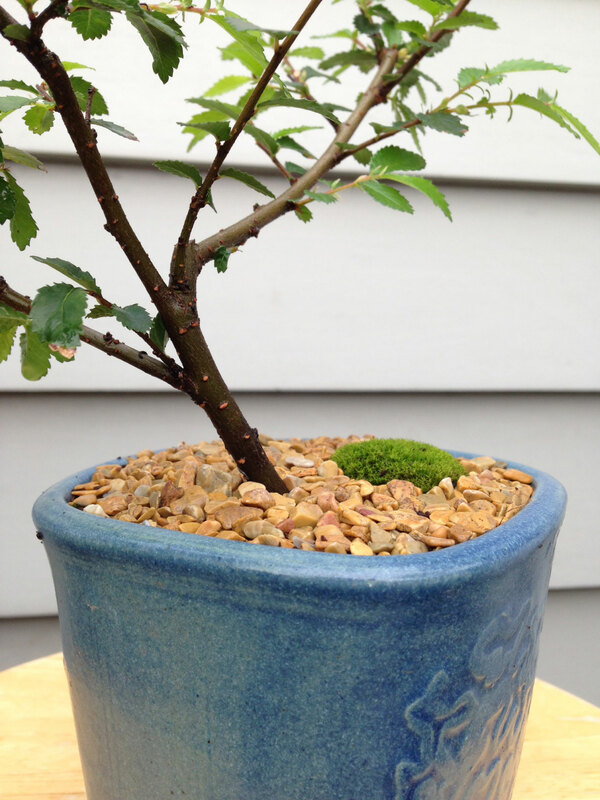 67 is a Chinese elm with moss and loose stones. 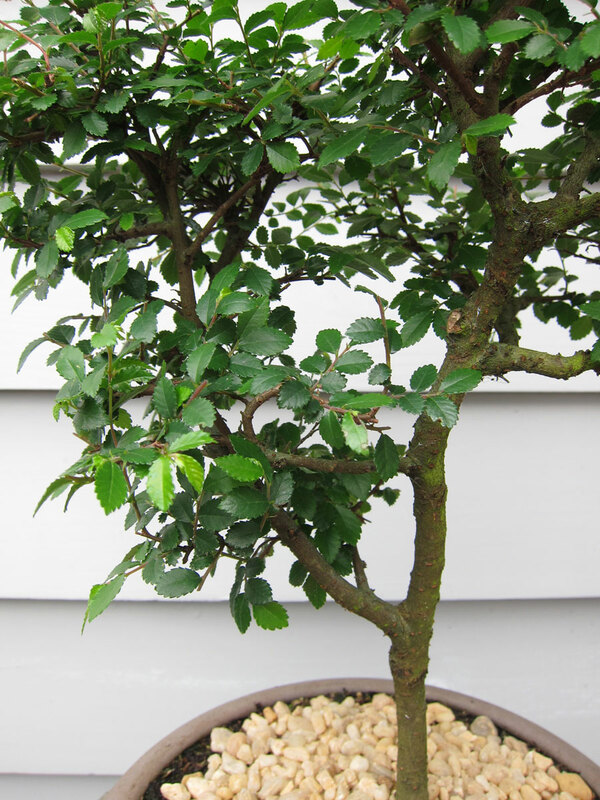 The Chinese Elm, a popular bonsai favourite: hardy, small elegant leaves, shapely trunks with attractive, mottled bark. 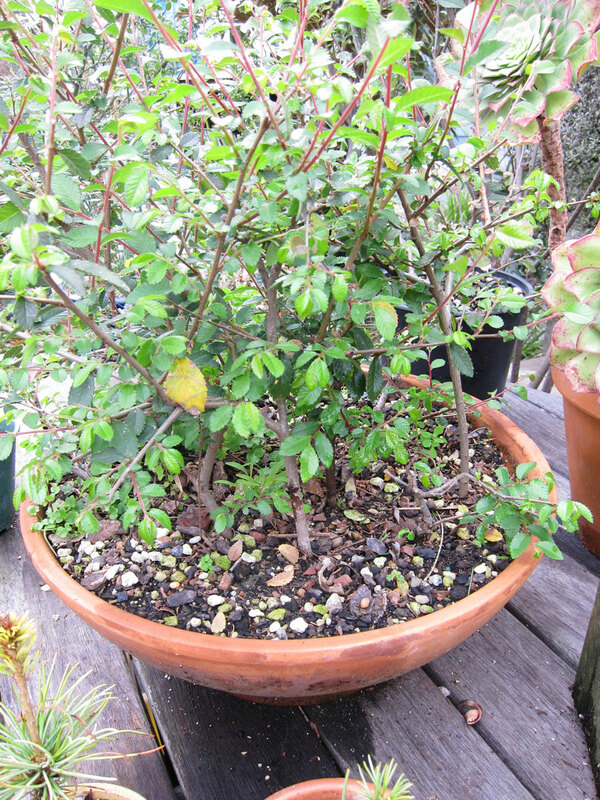 Mine, an informal upright of about 10 years, has a new set of leaves and has been lightly pruned this week. The elm (a semi-evergreen) is semi-deciduous in Auckland. Shaping and pruning is on the informal side with this tree, but will get a good shaping in the spring. Has good branch structure and is a vigorous grower in recent years, with stout little branches. 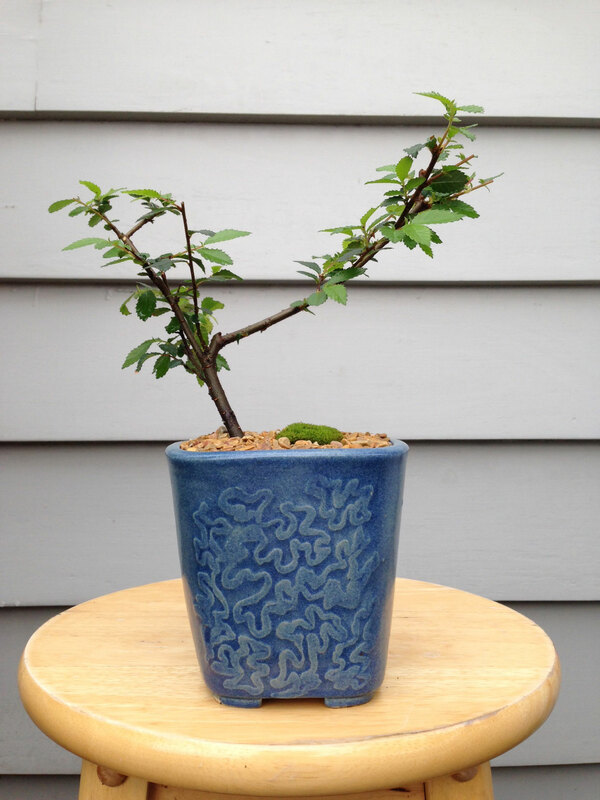 As shown in the last image, you can grow a Chinese elm from cuttings. 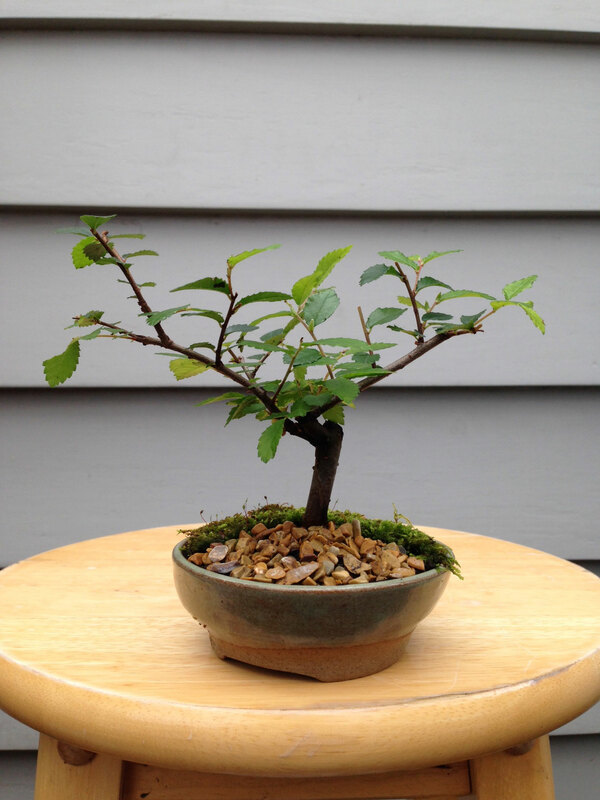 More on the Chinese Elm as a bonsai here.